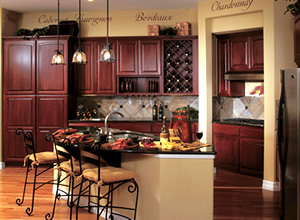 Exquisite cabinetry is more than storage, it’s your room’s ambiance. Old World or New Wave. Sparkling with color or shimmering with quiet confidence. Personalize your design with those details that only you would think of, and be assured that your distinctive style is here to stay. Visit our Inspiration Gallery to see many types of rooms and styles, from traditional to casual, or contemporary to rustic – spark your imagination and let your own C&D Cabinets style take shape. From that perfect shade of blue to a prized family heirloom, finding the things that inspire you and sharing them with your designer will help your C&D Cabinets style take shape. These will help your designer visually understand your tastes, preferences and needs. Is a treasured heirloom - a graceful chest or upholstered chair - at the center of your vision? 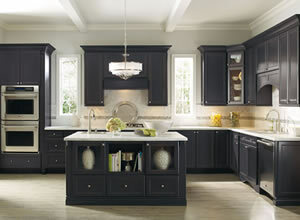 Your designer can work with you to turn this inspiration into a custom C&D Cabinets original.